How do Simonds alloys compare to other magnetic alloys? Whenever I am asked to compare Simonds alloys to other magnetic alloys, I always respond with another question: How will the alloy be used? Because the applications for magnetic alloys is endless – they are used in everything from military gyroscopes to washing machines to bank vaults – and they all have different magnetic properties, it is important to completely understand your own application before choosing an alloy to use. It is also important to consider the desired size of the end product. 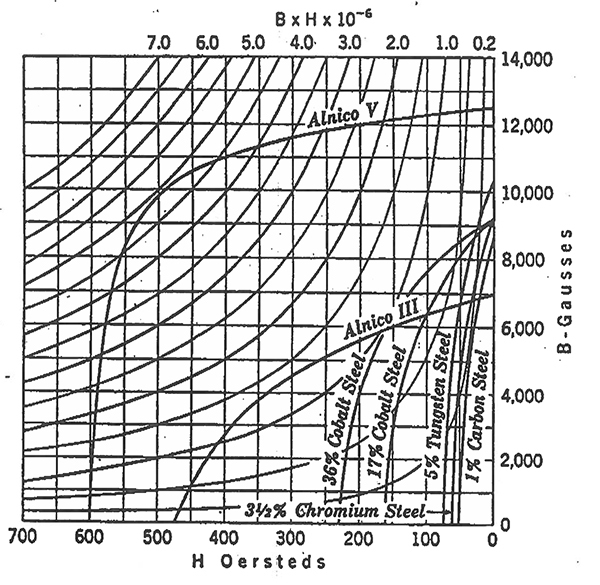 The curve graph below shows the magnetic properties of various commercial magnetic alloys and the bar chart shows the quantity of material needed to achieve the same level of magnetic strength.